StrimGuard provides easy and effective trimmer protection for young trees. Simply wrap around foot of tree and clip ends together. StrimGuard is a unique product that addresses a specific need to protect trees from the age old problem of strimmer damage. Existing tree guards may not be tough enough to withstand strimmer attacks! Long grass and weeds surrounding the base of a young tree can sap nutrients from the plant. 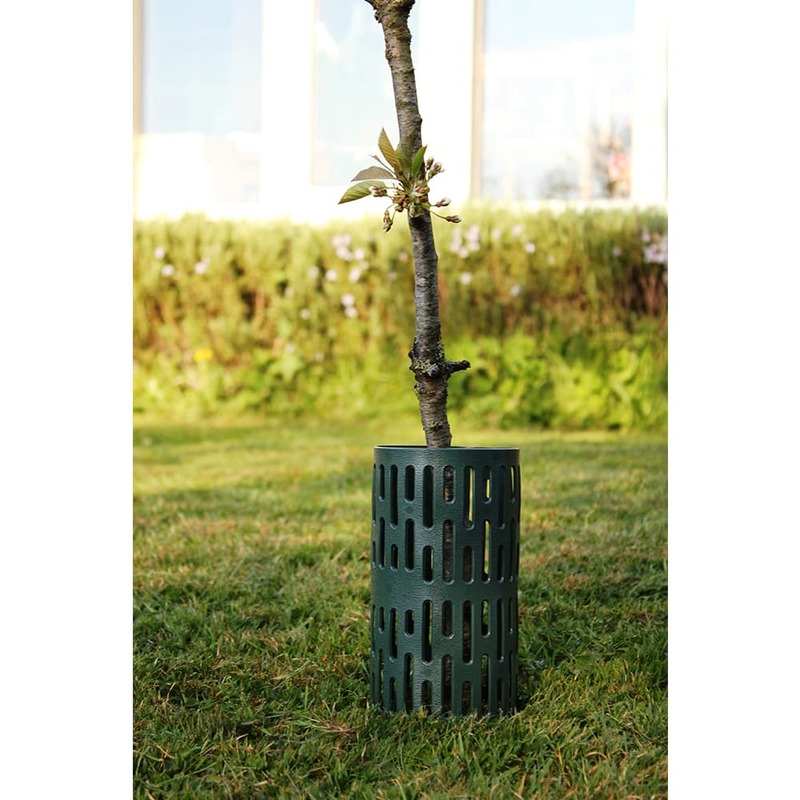 However strimming back grass and weed growth frequently results in accidental damage to the bark which compromises the flow of water and nutrients to the upper part of the sapling. It can also leave the plant vulnerable to infection and mould. 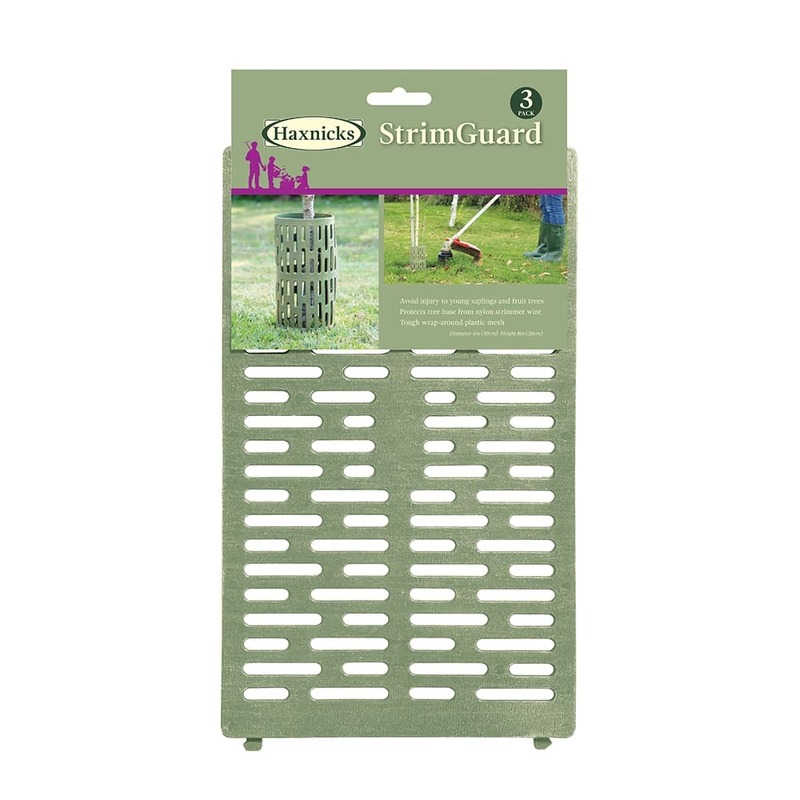 StrimGuard can be wrapped around the foot of the tree and secured by clipping the ends together to provide vital protection against nylon strimmer wires, mice and other nibblers!